Even though LA hasn't seen a lot of military action, Los Angeles has a variety of museums that document and interpret military history from the Revolutionary War to WWII and the Cold War, and include exhibits of more modern military vehicles, planes, and multiple ships. The Fort MacArthur Museum at Battery Osgood-Farley in San Pedro focuses on the history of Fort MacArthur, a U.S. Army post which guarded the Los Angeles harbor between 1914 to 1974. Multiple buildings house exhibits on harbor defense and home-front activities in Southern California. The American Military Museum (AKA Tank Land or the Tank Museum) at the Whittier Narrows Recreation Area in El Monte has an extensive collection of inter-service military equipment from WWI through Desert Storm. Nearly 200 vehicles from tanks to amphibious vehicles and bomb loaders. 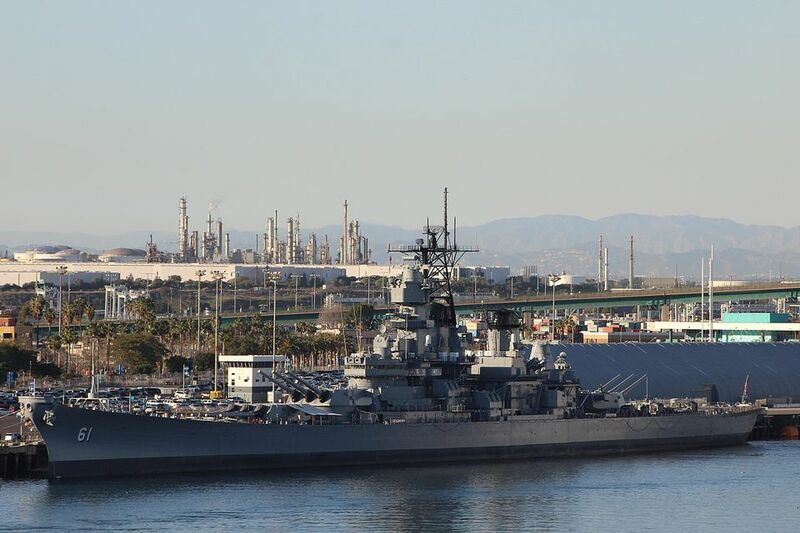 The SS Lane Victory is another museum ship located in the Port of Los Angeles. She's a WWII merchant cargo ship that served through the Vietnam War. The Sons of the Revolution in the State of California has an American Heritage Library and Museum in Glendale. The Library specializes in genealogical and early American history resources with emphasis on the Colonial and Revolutionary War period. It also has a fine collection of 18th and 19th-century vital records, family histories, American military history and English genealogy. The Western Museum of Flight is not exclusively military aircraft, but they do have Warbirds, aircraft and target drones, piston and jet aircraft engines, aircraft components, aircraft ejection seats, World War II instruments, aircrew accessories, and an extensive model aircraft collection. In addition to her years as a luxury ocean liner, the Queen Mary served as a troop transport during WWII. The Queen Mary attraction includes a few exhibits and film reels on her military history. Also at the Queen Mary is the Russian Foxtrot Submarine Scorpion. You can't go inside the submarine anymore, but you can still see it. The Drum Barracks Civil War Museum elucidates the role of Los Angeles and California in the Civil War. It is located in the 1862 Drum Barracks Junior Officers’ Quarters, built on land donated by Phineas Banning to create a Union presence in Southern California during the war. Learn about the history of martial arts and relevant weaponry in Asia and its influence in the US at this North Hollywood museum. The Wende Museum in Culver City is a collection of artifacts, documents and personal histories related to Eastern Europe and Russia during the Cold War. Exhibits include furnishings and design objects, visual arts, textiles, films, and books.